October has been designated ME-BYO Month with activities related to ME-BYO being held around the prefecture throughout September, October and November to increase awareness of ME-BYO. 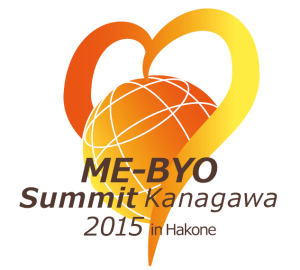 ME-BYO Summit 2015, which was held in October, was the largest of these events with an International Symposium held from October 22-23, 2015 and an Exhibition held from October 14-16, 2015. The ME-BYO International Symposium gathered domestic and international leaders and representatives from industry, academia, and the non-profit sector to deliberate on topics related to ME-BYO, including ME-BYO industry creation, ME-BYO science, and ME-BYO awareness. ME-BYO Japan 2015 Exhibition, a key component of the ME-BYO Summit 2015, also featured opportunities to interact with latest ME-BYO health technologies and took place in the ME-BYO zone of BioJapan 2015, an event hosted by bio-industry related organizations.